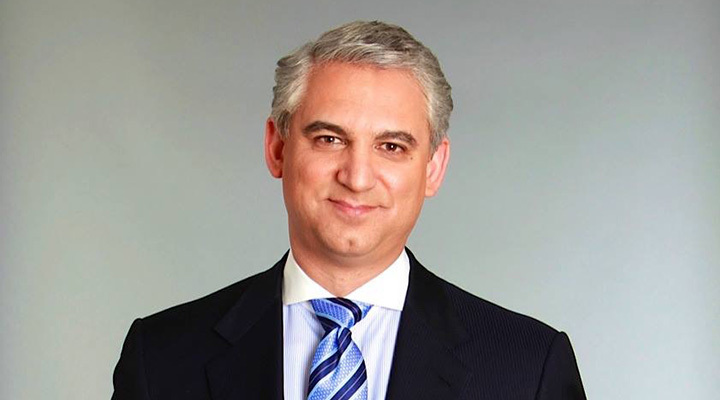 Dr. David Samadi is currently the Chief of Robotic Surgery at New York’s Lenox Hill Hospital. Born in Iran and raised in Persia, his story is quite special. Following the Iranian Revolution, David and his brother were forced out of their home and sent to Belgium. There, they began a life without their parents. Both boys were determined to do great things. From an early age, David knew that he wanted to enter the medical field and help others. His strong ambition and drive is the root for his passion to help individuals fight cancer. His calling became clear after observing a prostate cancer procedure. He graduated from Stony Brook School of Medicine and began his postgraduate training at Montefiore Medical Center and Albert Einstein College of Medicine. To date, he has performed over 7,000 prostate surgeries. Through his SMART method, which stands for Samadi Modified Advanced Robotic Treatment, 90 percent of his patients are cancer-free. Even though Dr. David Samadi has dedicated his practice to detecting, diagnosing, and treating prostate cancer early, he has been a participant with other endeavors outside of his office. For five years, he hosted “Sunday Housecall,” which dispensed medical advice. Also, he shares medical information on an international level through a radio show and website. His other interests include research that features the latest medical technologies, alternative medicine, and other issues that affect men’s health. Hearing Dr. Samadi explain the way that he views his career and how he runs his practice will help other individuals who want to follow in his footsteps. I’ve always wanted to be a doctor who helped people. After I specialized in prostate treatments, I became fascinated with the new developments in robotic surgeries. I detect and treat men who suffer from prostate cancer. I have developed a unique robotic method, which is less invasive than conventional surgical procedures and helps to keep individuals free of cancer. For a long time, I was performing conventional prostate surgeries. In 2000, I was at Memorial Sloan Kettering Cancer Center. At that time, I heard that doctors in France were using laparoscopic methods for similar procedures. This was breaking technology. I was lucky to work in France and help to pioneer these treatments. My team utilized robots in the operating room. Since no one in the United States had this experience, it was the point when my career exploded. When you were starting out, was there a time when you doubted it would work? If so, how did you handle it? At the start, I was working for a major medical facility. I believed that the patient management processes were extremely slow. I wasn’t sure if I could handle it. However, over the years, I’ve learned to go with the flow. I have to disconnect and realize that everything will get finished. How did you get your first patient? I have always been dedicated to my profession, and my patients see it. When I introduced my SMART surgical technique, many men were interested. They wanted to avoid the usual side effects of traditional prostate surgery, including impotence and incontinence. What is a marketing strategy that you’re using that works well to generate more business? I rely on patient referrals. I take pride in being accessible at all times. My patients appreciate this and place their complete trust in me. My top goal is to provide commendable results after surgery. Providing quality services is the reason behind my expanding practice. Today, the urology department in our hospital has been transformed. We have enjoyed an increased volume of patients and have unmatched expertise in robotics. I love what I do, and I enjoy helping people. Although urology is my major focus, I’ve had to make a conscious decision to begin speaking about alternative medicines and new research in the healthcare industry. I want to share my knowledge so that everyone can live healthier. I like to stick to a schedule. Establishing a routine makes me efficient. Also, I treat my staff like family. We share private stories and really know each other. When you surround yourself with good people, you can’t help but be successful. Developing my SMART technique. This procedure separates the prostate from the nerves that are around it. Using microscopic precision, it is possible to avoid damage in these areas. It has saved numerous men from suffering the negative side effects that come from conventional prostate surgery. I hope to continue providing men with a comprehensive center that improves their overall health, including their prostate, colon, heart, and other key male functions. It excites me that we are on the edge of great technological advancements in the healthcare industry. The surgical techniques that I have developed can only be improved. Elizabeth Stout wrote an impressive book with a collection of stories about people who faced adversity and came out on top. It is called “Anything is Possible,” and I highly recommend it to anyone who is facing business challenges. What is one of your recent purchases that has helped with your business? It is not a purchase, but I recently gave a gift to a nurse who retired from our hospital. Nurses are the foundation for what I do. Without them, the healthcare industry would be nothing. Is there one personal habit that makes you productive?